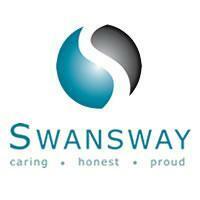 Swansway Group is a family-owned motor group with multiple locations across north west England and the Midlands. They manage 20 approved franchise dealerships for top brands like Audi, Fiat, Land Rover and Peugeot, selling a range of new models. Swansway Group dealerships also sell second-hand vehicles, featuring brands such as Nissan, Ford and Suzuki. A number of aftersales services are offered at Swansway dealers and repair centres. You can book your vehicle in for servicing, buy parts, or simply pop in to receive advice on good vehicle management and what finance options are available. For disabled drivers, affordable Motability schemes are available to ensure you can get on the road safely. The Swansway Group was founded in 2003 by Michael Smyth – a man with 35 years in the industry – when he purchased the shares of LC Charles Ltd, acquiring four dealerships in Crewe, Stafford and Stoke. Two years later, the Smyth family established a brand-new Volkswagen van centre in Preston. The company expanded from there, obtaining new dealerships, and opening a parts dealer, repair centre and fleet facility. Swansway Group steadily expanded across the Midlands and North West, and in 2016 opened its super site in Chester, which display cars from several leading brands. One of the chief benefits of buying a vehicle through Swansway is the excellent variety luxury and economy brands on offer. You’ll find a range of compact hatchbacks like the Citroen C1, comfortable seven-seaters like the Volkswagen Touran, and luxury saloons like the Jaguar XE. Swansway can even accommodate sports car enthusiasts seeking a high-performance vehicle, as the Chester dealership stocks cars like the sleek and speedy Abarth 124 Spider. And if you’re a business customer, you can contact the group to discuss competitive business and fleet options.